Sandy Baum, professional photographer and pilot, will give a talk, "A Tale of Two Cities"
C.M. Mayo will present and discuss her translationthe first into English of Francisco I. Madero's secret book, the Spiritist Manual. Interview with C.M. Mayo by Bertha Hernández about the historical novel based on the true story, El último príncipe del Imperio Mexicano. 5 pm. Free. Part of the series on the Mexican historican novel hosted by Random House Mondadori and SHCP. *Bring a brown bag lunch or, just around the corner, there are several restaurants and cafes. >>See blog post, "The Arc of Writerly Action"
Dancing Chiva Literary Arts, S.C.
>>Want to be notified when a new Dancing Chiva workshop is scheduled for Mexico City? Click here to learn about the Dancing Chiva mailing list. Moderador, Dr Javier Garciadiego; Eduaro Turrent; Carlos González Manterola; y el novelista Carlos Pascual. 90 minute workshop: "Techniques of Fiction: A Supersonic Overview"
For both beginning and experienced fiction writers, this 90 minute mini-workshop covers a broad array of techniques, from the basic to the rare, for creating and sustaining the "vivid dream" or "virtual reality" in the reader's mind. We will look at at specificity, point of view, synthesia, imagery, image patterning, plot, rhythm, and the use and misuse of dialogue. The goal is that the next time you sit down to write, your fiction will be of notably better quality. C.M. 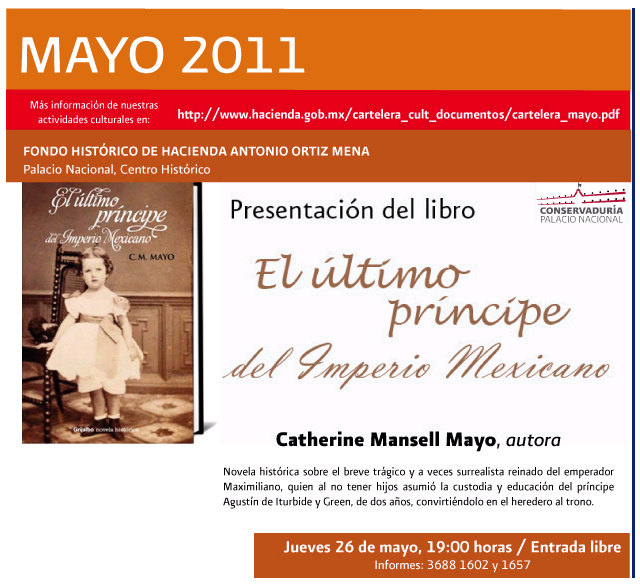 Mayo will read from and discuss The Last Prince of the Mexican Empire and, time permitting, new work. Cost: 70 pesos; students 50 pesos. 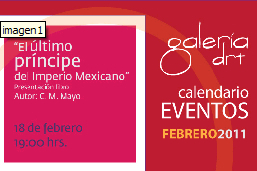 All proceeds help support PEN and the Biblioteca Scholarship Fund. >>Listen to the podcast of this event.